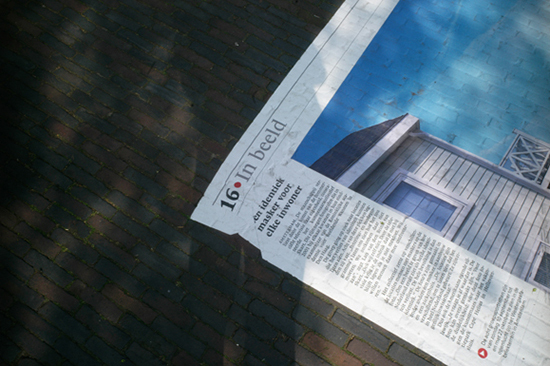 NRC Handelsblad is one of the leading newspapers in The Netherlands. 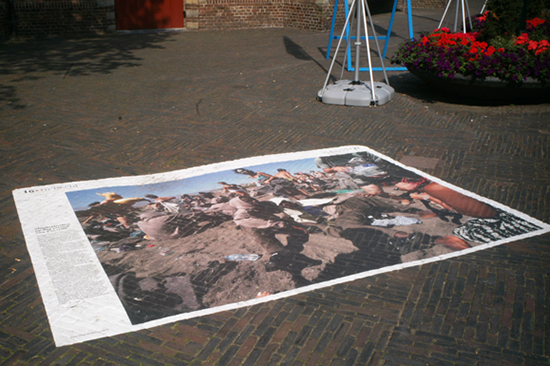 In 2006 the paper started publication of NRC Next, a tabloid edition targeted at a younger audience. 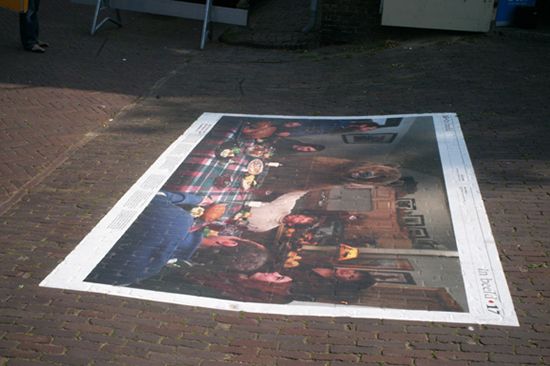 One of its daily features is a double-page image in the heart of the newspaper. 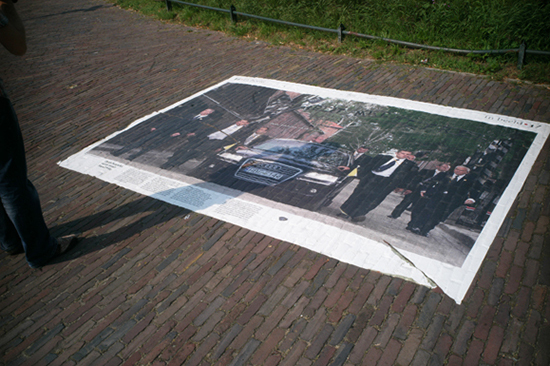 NRC Next exhibited a selection of these spreads at the photo festival Naarden. 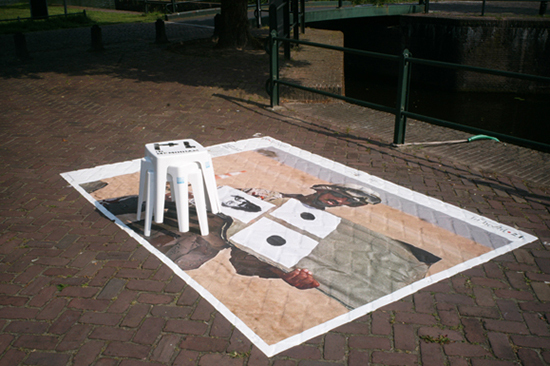 We designed an outdoor exhibition using a special material that can be glued to the pavement. 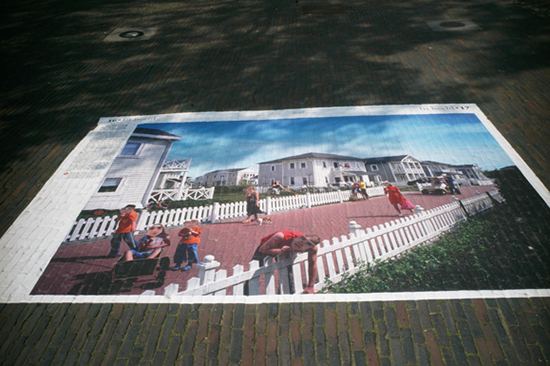 The effect was such that it appeared as if someone had lost a newspaper, sheet by sheet. 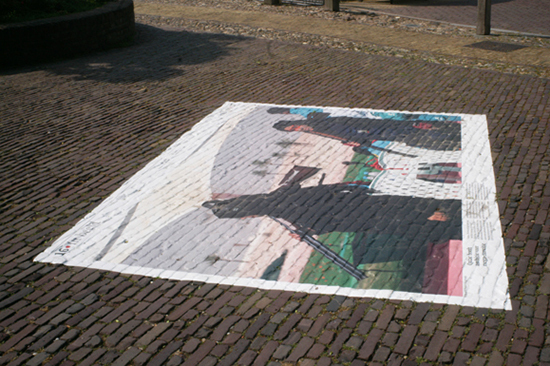 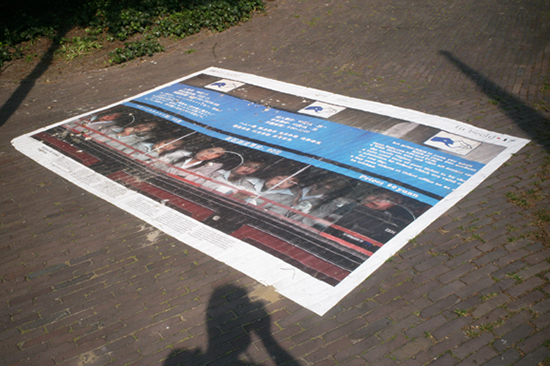 The blown up photographs were pasted on footpaths throughout Naarden.